you get an error message, and your photos will be rejected. 1280 pixels wide and 800 pixels high. For images photographed in height, may be the maximum size of 800 to level. Extra large images are not eligible. Be careful. To end the entry form, press this button. How to reduce your large files? Perhaps the easiest way to change the file size is reducing the image quality of 11 or 12 to a value of 9. Note: When you upload multiple photos, only the last recorded photos will be accepted! Special characters such as , ; : # & \ /ˇ ´ ä,ľ.š.č.ť.ž.ý.á.í.é.’ will be eliminated from your input so please avoid use of them. These characters can interfere with processing of your data/entry. By the sole act of submitting his/her images or files to a salon under FIAP Patronage, the entrant accepts without exception and with no objection that the submitted images can be investigated by FIAP to establish if these obey to FIAP regulations and definitions even if the entrant is not a member of FIAP; that FIAP will use any means at its disposal for this undertaking; that any refu- sal to cooperate with FIAP or any refusal to submit the original files as captured by the camera, or failure to provide sufficient evidence, will be sanctioned by FIAP and that in case of sanctions following the non compliance with FIAP regulations, the name of the entrant will be released in any form useful to inform the breaches of the rules. It is recommended to leave the EXIF data in the submitted files intact in order to ease eventual investigations. Bank name : Prima banka Slovensko a.s. The deliveries received without complete payment for their participation on The Photo Salon STROM, will neither be introduced to the jury. Direct link to the Participation fee. A black and white work fitting from the very dark grey (black) to the very clear grey (white) is a monochrome work with the various shades of grey. A black and white work toned entirely in a single colour will remain a monochrome work able to stand in the black and white category; such a work can be reproduced in black and white in the catalogue of a salon under FIAP Patro- nage. On the other hand a black and white work modified by a partial toning or by the addition of one colour becomes a colour work (polychrome) to stand in the colour category; such a work requires colour reproduction in the catalogue of a salon under FIAP Patronage. A monochrome image is defined as having varying shades of no more than one color (various shades of that color from very light to very dark) but it may be any single color. Multi-toned images (various shades of two or more colors) and greyscale images with an added accent color are not acceptable in Monochrome Class sections and must be entered in Color Class sections. A Photo Travel image must express the feeling of a time and place, and portray a land, its distinctive features or culture in its natural state. There are no geographical limitations. Close up pictures of people or objects must include distinguishable environment. Techniques that add to, relocate, replace or remove any element of the original image, except by cropping, are not permitted. All adjustments must appear natural. Conversion to full monochrome is acceptable. Derivations, including infrared, are unacceptable. The Photo Salon STROM is open for both amateur and professional photographers from all over the world. The participant may be rejected when the organizer or their agent, according to their reasonable discretion, believes the entry does not conform to the exhibition rules and conditions as well as to ethical principles of the photographic companies FIAP, PSA, RPS and ZSF. The photographs must be taken with a light capturing media, made by an applicant on emulsions for photographic uses or they must be received on a digital media. By virtue of submitting an entry (the form can be found on www.fotostrom.eu), the entrant certifies the work as his own and permits the organizer to reproduce all or part of the entered material free of charge for publication and/or display in media related to the exhibition. This may include low resolution posting on the organizer´s website. The Photo Salon STROM assumes no liability of any misuse of copyright. The photographs can be obtained either digitally or via converting of analogue materials into digital ones through a digital reformatting process (e.g. by scanning). 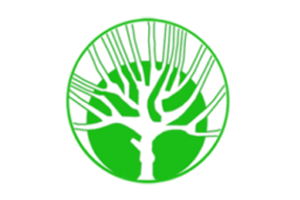 By the sole act of submitting his/her images or files to a salon under FIAP Patronage, the entrant accepts without exception and with no objection that the submitted images can be investigated by FIAP to establish if these obey to FIAP regulations and definitions even if the entrant is not a member of FIAP; that FIAP will use any means at its disposal for this undertaking; that any refusal to cooperate with FIAP or any refusal to submit the original files as captured by the camera, or failure to provide sufficient evidence, will be sanctioned by FIAP and that in case of sanctions following the non compliance with FIAP regulations, the name of the entrant will be released in any form useful to inform the breaches of the rules. It is recommended to leave the EXIF data in the submitted files intact in order to ease eventual investigations. b) the images comply with the rules and definitions as set out in these Conditions of Entry. PSA retains the right to investigate in any way all complaints/suspicions of breaches of entry conditions, impose sanctions if deemed necessary, void the acceptances of any image found to violate the PSA rules, include the entrant’s name on the list of sanctions provided to Exhibitions, and share such investigations with FIAP. Entrants automatically agree to these terms by the act of entering the Exhibition and agree to cooperate with any investigation. The Photo Salon STROM 2019 is only digital photo salon. The author can send their digital photographs via an electronic form on our website. The photographs will be presented to the jury on a screen, using the data projector, and evaluated by the jury anonymously. Entries are limited to not more than 4 images per section, category, or class. An entrant’s four images will be distributed throughout four rounds of judging in that section. The participants can obtain the catalogue from our website in “.pdf” format..
Only awarded authors will be given the printed catalogue. 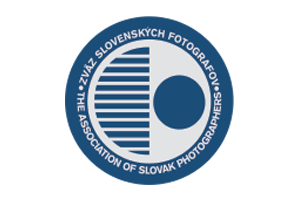 The photograph must contain their title in Slovak or English language, stated in the registration form. Files are sent using the form published on our website. www.fotostrom.eu. Files received on CDs will be accepted but they will not be returned back to their authors. All the STROM Photo Salon categories are under the patronage of FIAP, PSA, RPS and ZSF. The DVD will be sent to all selected authors. The deliveries received without complete payment for their participation on The Photo Salon STROM 2019, will not be introduced to the jury.